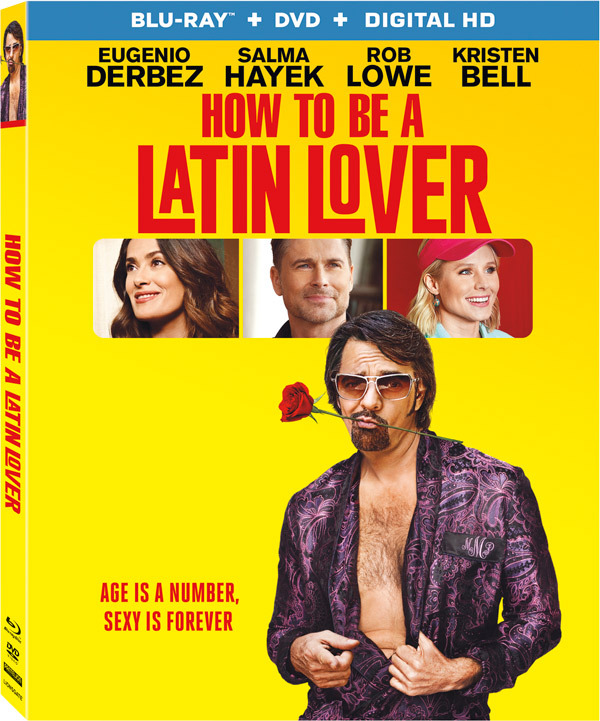 The hit comedy "How to be a Latin Lover" comes to digital HD on Aug. 1 and blu-ray and DVD on Aug. 15. The comedic genius of Eugenio Derbez is at its best and the all-star cast, including Selma Hayek, Rob Lowe and Kristen Bell, is stellar. Thisfunktional readers have an opportunity to win a copy for their collection. I will let the winners be surprised when they receive their tickets. Disclaimer: Multiple winners will be chosen. Contest runs to August 11, 2017 midnight. No purchase necessary. Prize provided by MPRM Communications. Only open to the U.S., no PO Boxes or international addresses. Only one entry per household. Entries on behalf of another person will not be accepted and joint submissions are not allowed. We will not accept entries of contestants who have claimed a prize in the last 6 months. Eugenio Derbez (Instructions Not Included) and Academy Award® nominee Salma Hayek (Best Actress, Frida, 2002) lead an all-star cast in "How to Be a Latin Lover," arriving on Digital HD August 1 and Blu-ray™ (plus DVD and Digital HD), DVD and On Demand August 15 from Lionsgate. Theatrically released by Pantelion, "How to Be a Latin Lover" is a laugh-out-loud comedy about an aging “ladies’ man” who is thrust back into real life after years of being pampered, and onto the doorstep of his estranged sister and nephew. Directed by comedy veteran Ken Marino (“Childrens Hospital,” “Party Down”) and written by Jon Zack (The Perfect Score) and Chris Spain, the film features a standout ensemble cast, including Rob Lowe (“Parks and Recreation”), Kristen Bell (Frozen), Raquel Welch (Legally Blonde), Rob Corddry (Hot Tub Time Machine) and Raphael Alejandro (“Once Upon a Time”). When aging Latin lover Maximo (Derbez) is suddenly dumped by the older woman he married for money, he moves in with his estranged sister Sara (Hayek) and her 10-year-old son, Hugo (Alejandro). Determined to return to the lap of luxury, Maximo uses Hugo to meet a rich widow—and learns that love and trust must be earned. The home entertainment release of "How to Be a Latin Lover" features exclusive bonus content, including over 30 minutes of deleted and extended scenes, two behind-the-scenes featurettes and audio commentary with director Ken Marino, producer Ben Odell and editor John Daigle. "How to Be a Latin Lover" will be available on Blu-ray Combo Pack and DVD for $39.99 and $29.95, respectively.